The Ruelco hydraulic tattletale is a compact device that provides indication when a hydraulic sensor or control component operates. The hydraulic tattletale is designed to be installed in the return line near the exhaust port of a hydraulic sensor or control component. 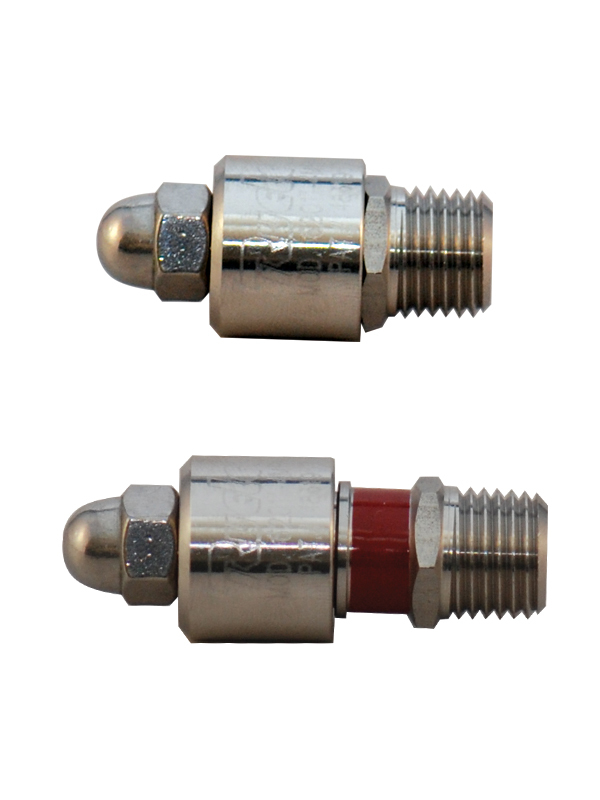 When the sensor or control device operates and vents or exhausts hydraulic fluid, the pressure in the return line will cause the cap of the tattletale to pop up. This exposes a red indicator band, giving visual indication that the sensor or control device has operated. Viton O-ring used for dependability. Small size and rugged construction. Does not affect operation of the device it is installed in. Easy to repair and test. Can eliminate the need for an expensive control panel.